Hrudaya is a nice and beautiful with heart touching Odia Poem written by Mr. Ajit Kumar Swain. 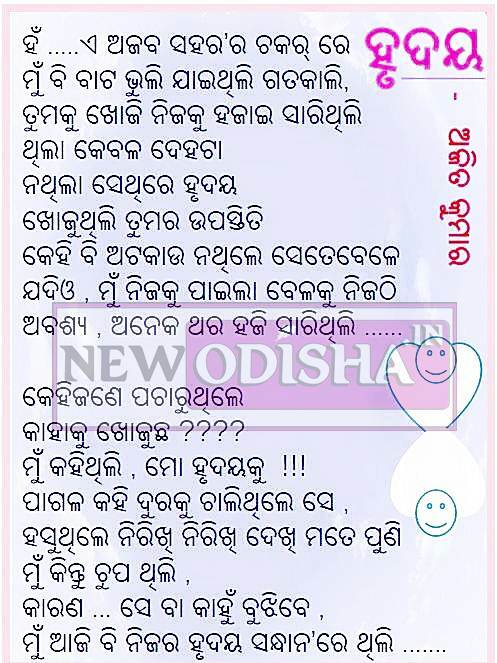 If you are a Odia Poem lover, then this is for you. Read this beautiful Odia Poem “Hrudaya” by Ajit Kumar here. Give Responses for "Hrudaya – Odia Poem by Ajit Kumar Swain"